Advice for making the most of New Mexico's annual fiesta of fine dining, when there are lots of deals on meals to choose from. Above: Chile Relleno with red chile and green rice, served at Joseph&apos;s of Santa Fe. Photography by Jen Judge. LEARN TO MAKE THIS CHILE RELLENO WITH RED CHILE AND GREEN RICE, SERVED AT JOSEPH’S OF SANTA FE, BY WATCHING CHEF WREDE’S VIDEO. • Mark your calendar for all three New Mexico Restaurant Week destinations: February 21–28 in Santa Fe, February 28–March 6 in Taos, and March 6–13 in Albuquerque. • Check out the special menus online here. 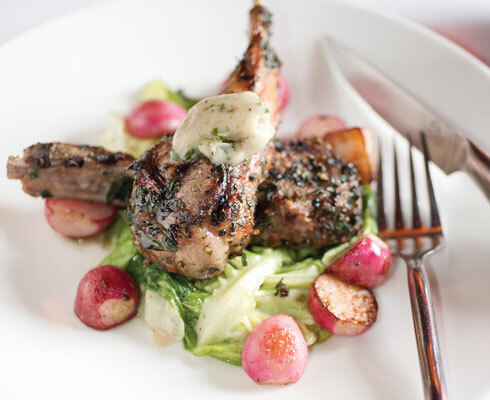 Prix fixe menus range from $25 for two people up to $40 per person. • Make reservations as far in advance as possible. These weeks tend to be some of the busiest of the entire winter, and walk-ins may find long waits, especially on weekends. Naturally, midweek and off hours, say 5:30 or 9 for dinner, tend to be more available. • If your table of choice is booked or you just can’t squeeze in enough reservations, try lunch. 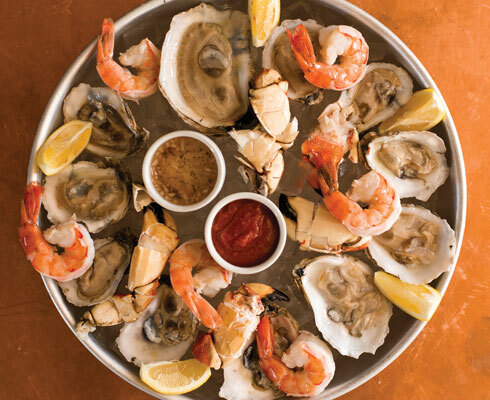 Last year, 20 restaurants offered midday menus. • Don’t feel limited by the special menus. Most restaurants serve their standard fare, some with discounts, in addition to the event prix fixe options. • Attend a class, such as last year’s tutorial on pie crusts at Santa Fe’s Sweet Lily Bakery, or the history of martinis, complete with tastings, at St. Francis Hotel’s Secreto Lounge. The mozzarella-making demonstration and wine tasting at Amore Neapolitan Pizzeria was a big hit. • There’s no need to eat and drive. Ten hotels offered reduced room rates and packages last year for Restaurant Week patrons. is difficult to imagine a better small city in America for eating out than Santa Fe. Fine-dining establishments are more pervasive than fast food restaurants, and there are probably more James Beard nominees per capita than snowplows. Modern Southwest fare was born here, at the Coyote Cafe, which, along with Geronimo, continues to produce some of the most composed renditions (think: Tellicherry pepper–rubbed elk tenderloin and white rose potato soup with sweet corn and chorizo). That culinary largesse has bubbled out across the state, as New Mexican cuisine is as big a part of the state’s identity—and its appeal—as Native cultures, adobe architecture, and the bright, crisp, mountainous desert-scapes. Albuquerque. Since that’s a lot of menus to peruse, we considered exit polls from last year’s event and talked to local chefs so you’d know where to make reservations with confidence that you’ll have a memorable meal. Chef Charles Dale of Bouche Bistro, Santa Fe, and his seafood platter with seasonal oysters, market crab, cocktail sauce, peppercorn mignonette, and lemon. 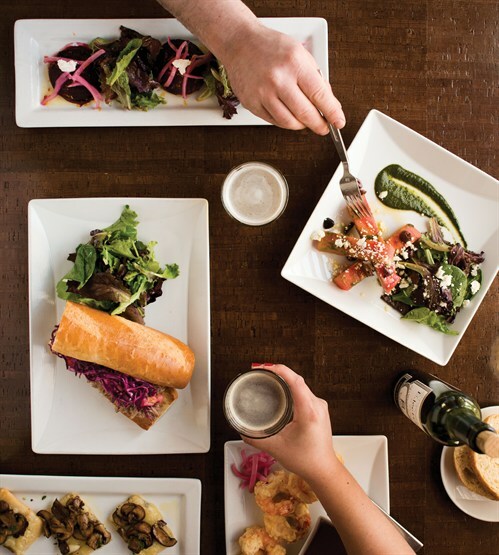 Not only is the capital the state’s heart, with more acclaimed restaurants than most cities five or ten times it size, but it also has over two-thirds of the eateries participating in New Mexico Restaurant Week. That means you’ll have to be discriminating to make the most of the event. One good starting point is the newest restaurants, and at least three of those eateries will be serving up special menus for the event. At Radish & Rye, newcomers Camille Bremer and Dru Ruebush will be riffing on Southern-inspired farm-to-table comfort food from their menu classics, such as fried green tomatoes with pimento cheese and chile threads or mushroom chowder with green chile and smoked marrow. From its bourbon bar, the state’s largest, the restaurant mixes cocktails as sophisticated as its fare, and it’s likely to offer daily drink deals in conjunction with Restaurant Week. Don’t miss the Abuelito, a bourbon-and-bitters concoction that’s served under a bell jar of tobacco smoke for a dark, rich infusion. John Sedlar, whose grandmother and aunt both spent their lives cooking in northern New Mexico, including as personal chef for Georgia O’Keeffe, has been away for years, burnishing his craft at several highly acclaimed, Latin-inspired restaurants in Los Angeles. He’s returned to his roots with Eloisa. The whitewashed-brick-and-wood dining room in the Drury Hotel infuses New Mexico homeyness with a bit of SoCal cool, which is also a reasonable metaphor for Sedlar’s cuisine. He transforms lowly corn tortillas into artwork, pressing edible pansies into them, serving them with a side of his rendition of guacamole, and the grilled salmon is a bold and stunning Southwestern creation, with a salmon mousse tamale and a scattering of calabacitas. The event is a great opportunity to try out some of the more costly spots in town without the normal eye-watering prices. Perennial favorites The Compound and Coyote Cafe will all offer $40 menus, which is approaching 50 percent off their normal rates. It’s also a good excuse to sneak into popular places like Joseph’s of Santa Fe, which was almost fully booked the entire week last year. Chef Joseph Wrede, whose newish spot in yet another cozy adobe on the corner of Agua Fria and Montezuma is even more popular than his award-winning Joseph’s Table in Taos was, cooks elaborate but not fancy classics using local ingredients such as lamb and chicos. Last year, his three-course menu featured eclectic options such as a raw-zucchini-squash-and-fennel salad with black truffle vinaigrette and a cardamom-dusted phyllo napoleon with honey and goat cheese from local farms. For 2016, he says he’ll go with some variety of local lamb, like the grilled chop with caramelized fennel and goat’s-milk crust from his standard menu, and says he will stick to the $30-a-head price point. “I want to give people real incentive to come eat here,” he says. Another crowd favorite was Bouche, the intimate bistro that was voted one of the 25 Best French Restaurants in America in 2013 by Travel + Leisure. James Beard–nominated chef Charles Dale has been participating in Restaurant Week since its inception because, he says, he loves the buzz and excitement it creates in the state for food and wine. “Some people are creatures of habit, and this gives them a chance to get out and try something new with a much smaller investment,” he says. His $30 menu, the same price he’ll be presenting at again this year, encompassed bistro classics such as Burgundy-style escargots and frisée aux lardons salads, but Dale also drew in regulars during Restaurant Week, with new dishes such as ravioli filled with slow-simmered beef or mussels braised in white wine and red chile. baby spring lettuces, and anchovy butter. Though it’s the event’s smallest venue, Taos doesn’t lack for good food options during Restaurant Week. The longest-running participant, and crowd favorite, is El Meze, where chef Frederick Muller, a two-time James Beard semi-finalist, and partner Annette Kratka cook regional fare with a Spanish-and-Mediterranean twist in an 1847 adobe hacienda north of downtown. “We love the way Restaurant Week inspires people. We have friends who drive around the state and go to five different restaurants during the week,” says Kratka, the general manager and pastry chef. “People drive up from Santa Fe and Albuquerque just for the event, and they always tell us it’s worth it.” El Meze’s 2016 menu, the first to be finalized this year, should inspire the journey, with a three-course prix fixe for $30, including choices such as horno chico chowder with bacon and buffalo-stuffed tamales bathed in green chiles and two local cheeses. Another returning establishment is The Gorge Bar & Grill, a Taos Plaza eatery renowned for its green chile cheeseburger. And De La Tierra restaurant is not only prepping a special menu of Pueblo-inspired fusion cuisine, but its affiliate hotel, El Monte Sagrado, will offer lodging deals for all Restaurant Week diners, whether or not they eat in-house or at the competition. Restaurant Week curator Michele Ostrove recommends keeping an eye on the Restaurant Week website for additional Taos eateries and updated menus. But even with just the few on board now, there’s plenty to fuel a long ski weekend in Taos. A tabletop of James Campbell Caruso&apos;s tapas at MÁS. It’s a good time to eat in Albuquerque. For one, the kind of revitalization that’s taking place Downtown is happening in restaurants citywide, too. For instance, since Latin American/Caribbean hot spot Pasión Latin Fusion, a Restaurant Week favorite, got a makeover on the Food Network’s Restaurant: Impossible in 2014, it has been slamming out the best ceviche (yellowtail, green chile, and avocado) and empanadas (spinach, fried peppers, and goat cheese) this side of El Salvador and packing the tables nightly. At $25 for two people, this is one of the most affordable eateries in the event, but the succulent duck taquitos, banana chip fish tacos, and seafood chicharrones with romesco sauce and pickled vegetables make its menu as tempting as those at the white-linen establishments. 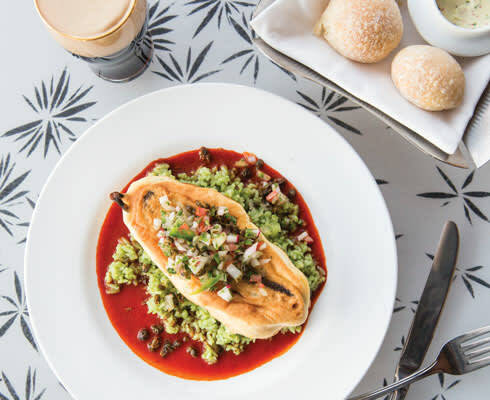 A few blocks away, MÁS Tapas, from eight-time James Beard Award nominee James Campbell Caruso, has proved a worthy and bustling anchor for the modern Arabian Nights–style Hotel Andaluz. Both Downtown establishments—as well as Caruso’s outstanding Santa Fe tapas standbys, La Boca and Taberna—were diners’ favorite stops during last year’s Restaurant Week. Caruso stayed with the Moorish theme on his $40 prix fixe menu, which included Moroccan carrot ginger soup and grilled salmon with a Brussels-potato hash. Pope is capitalizing on the renaissance to push diners, as he did with last year’s Restaurant Week menu, by balancing approachable options with what he calls “creative, funky stuff for foodies.” Take, for example, the chicken-fried veal sweetbreads and waffles, or the duck confit with bitter greens and pickled beets. So what is he dreaming up for this year? “No idea yet,” he says. “It will come down to getting with the farmers to see what they have.” What’s sure is that the menu will complement the wine bar’s polished steel-and-wood interior. And Pope will also be crafting special menus at Zinc’s two contemporary American sister restaurants, Savoy Wine Bar and Seasons Rotisserie & Grill. —Aaron Gulley is a globetrotting adventure sports and travel writer based in Santa Fe. These restaurants will be participating in Restaurant Week. For a complete list, visit newmexicorestaurantweek.com.